During his eventful three-plus seasons with the Wizards, Kelly Oubre distinguished himself as a supremely annoying heel, most notably as a central figure in the ’Zards’ futile, one-sided rivalry with the Boston Celtics. 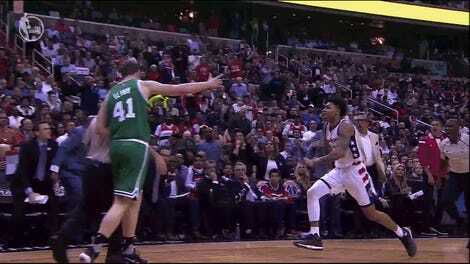 Oubre famously lost his cool and shoved Kelly Olynyk to the hardwood in the 2016-17 playoffs, earning himself a one-game suspension and arena-wide scorn from a Celtics crowd unified in their pure hate for him. To his credit, it didn’t really throw him off his game. 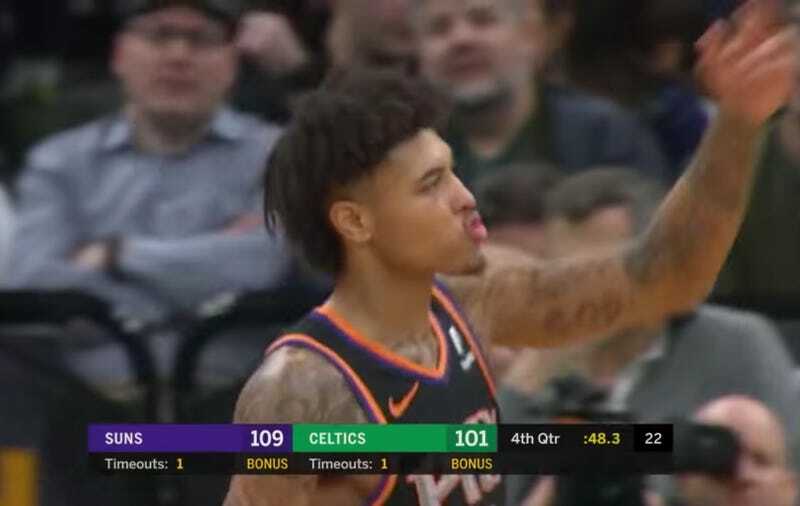 Now that Oubre has now been marooned out in Phoenix, though, his removal from the rivalry doesn’t seem to have brought about a change of heart towards the Boston faithful. Oubre scored 13 off the bench for the Suns in their big road win in Boston last night, their fourth in a row somehow. Late in the fourth quarter, it was Oubre who finally stuck a dagger in the Celtics to seal the win. Never one to let things go, Oubre blew kisses to the crowd, which had booed him earlier. Hopefully Oubre enjoys this now, because the Suns won’t have too many more wins to celebrate this year.